KATHMANDU,Nov 28: An aftershock measuring 5.6 on the Richter scale has rattled the Kathmandu Valley, sending people outdoors on early Monday. 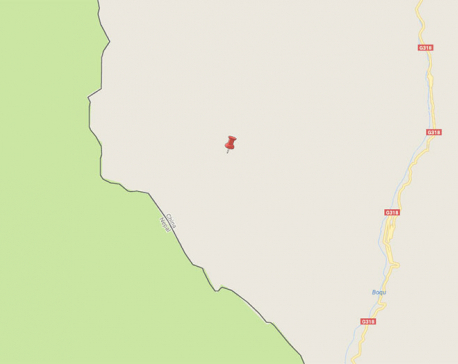 According to National Seismological Center (NSC), Lainchaur, the jolt struck at 5: 20 am with its epicenter in between Ramechhap and Solukhumbu. Tremors were felt in the eastern districts of Nepal as well as in the north-east part of India. A mountaineering guide was killed after being crushed by a rock that came down following the aftershock. 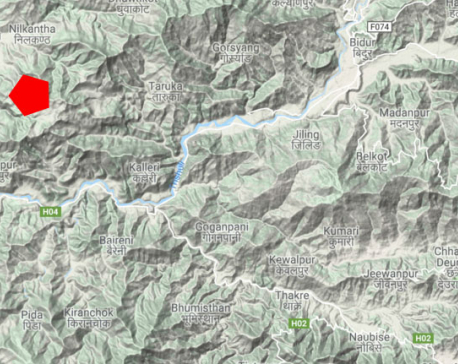 According to Umesh Pandey, Chief District Officer, Solukhumbu district, Lakpa Thimbu Sherpa was killed after a rock falling down the mountain hit him at the base camp of Mt. Amadublam. Seriously injured Sherpa, 45, succumbed to his injuries while being airlifted to Kathmandu, said CDO Pandey. A team of mountaineers including Sherpa had headed for the area to scale Mt. Amadablam. They were at the base camp when the rock fell down. 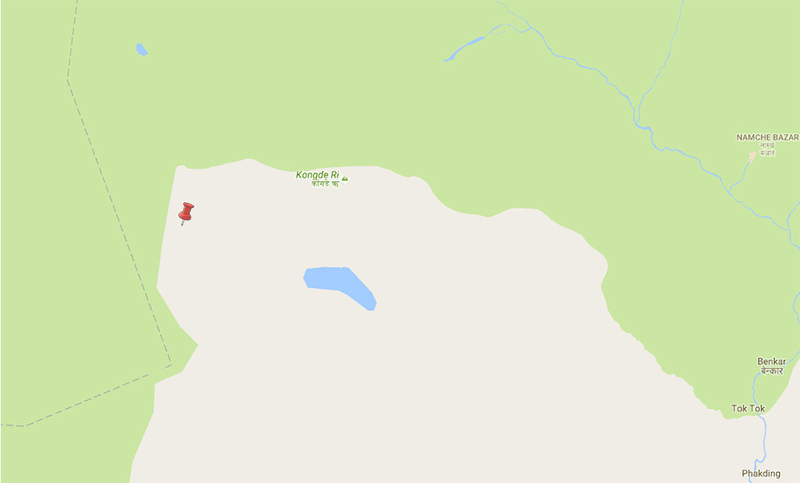 Similarly, two houses were buried by the aftershock-triggered avalanche in Lukla. Earlier, a 4-magnitudue aftershock epicentered in Nueakot had been felt on October 17. As many as 474 aftershocks measuring 4 and above* on the Richter scale have occurred so far following the Gorkha earthquake that devastated Nepal on April 25 last year. The NSC does not post those tremors measuring below 4 magnitude. "The aftershocks of a mega earthquake measuring 6 or above might last for several years. The jolt that we felt early today morning is also the aftershock of the mega earthquake that hit Nepal on April 25, 2015," Bharat Koirala, a seismologist at NSC, Lainchaur, told Republica Online. Koirala further shared that the Indian plate spanning from Burma to Afghanistan is constantly pushing hard against the Tibetan plate above, storing energy. The energy gets released when the weaker part of the tectonic palate breaks down, triggering tremors on the surface in the region.